This is another great product that you asked for. Now it is safe to clean you antique and vintage doll clothes. A gentle, ph-balanced, biodegradable and easy-to-use cleaner for all types of fabrics that will not endanger or remove the original sizing or finish! 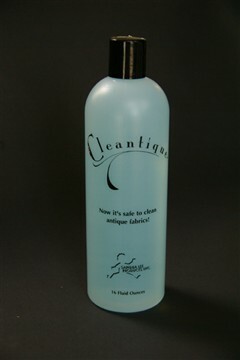 Cleantique is a surfactant rather than a detergent, so it safely "floats" out dirt, eliminating the need for scrubbing. Perfect for all your antique linens as well! Can also be used on your modern fine washables! Beats the socks off Woolite!